A team of European scientists are going on an expedition to find the oldest ice on Earth, to better understand climate change. They will head to Antarctica hoping to extract a 1.5 million-year-old ice core, it was announced at the European Geosciences Union (EGU) conference in Vienna on Tuesday. Scientists hope that the ice core will unlock the story of Earth's shifting climate, as the composition of Earth's atmosphere is preserved in bubbles in the ice. The team will be working in one of the most hostile environments on the planet, where the average temperature is -50°C and can fall as low as -80°C in the winter. Professor Olaf Eisen, a glaciologist at the Alfred Wegener Institute (AWI) in Bremerhaven, Germany, is the mission coordinator. "We are interested in determining the composition of the atmosphere and the time between 900,000 and one point two million years ago," he explains. "The oldest ice core we have so far is 800,000 years old, that doesn't go back far enough. So within the project Oldest Ice — which is an international project within the international partnership of ice core sciences — the goal is to find at least one ice core going back to 1.5 million years ago." 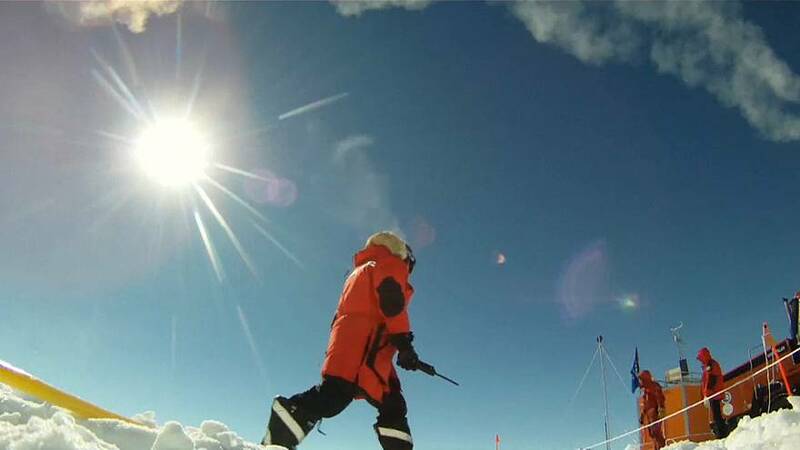 The researchers will drill for ice near Antarctica's Concordia Research Station, a French-Italian collaboration which sits 3,300 metres above sea level, near the South Pole. The nearest human beings are stationed about 600 kilometres away, making Concordia more remote than the International Space Station. The ice cores will be extracted from the Earth's bedrock, approximately 2.7 kilometres below the surface. "We have to look for a place which is thick enough to have old ice, but not too thick so that you have melting at the base," explains Prof Eisen. The project involves scientists from ten countries and 14 institutions, and the ice will be analysed by different teams of researchers across Europe. Prof Eisen explained: "You really see that in Antarctica, no country alone is able to really go ahead with such a big project, you really need international collaborations."